These things usually do not accompany the job description of a meteorologist. But understanding atmospheric chemistry and physics, including how they relate to weather and climate patterns usually is. If you’re fascinated by weather and climate, then maybe you want to pursue a meteorologist career. So let’s take a look at 5 reasons why you should and shouldn’t pursue a meteorologist career. 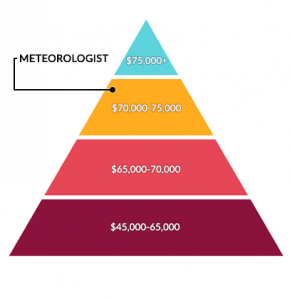 Salaries can range significantly for meteorologist careers in the low to high range. But on average, median salary is about $79,400 with entry-level positions much lower. On average, this is much higher than other environmental science careers. Job opportunities are mostly in government, education and private sector. For example, news stations hire meteorologists to report the weather. Over the years, demand for “operational forecasters” has declined because the usage of computers and predictive modeling. There is value to be had by a seasoned weather forecaster but job opportunities have become more rare. The best thing about being a meteorologist is that they can continually be wrong and keep their job. In fact, this happens on a day-to-day basis. The research in forecasting storm systems/ significant weather events can involve some serious number crunching. If math is not your thing, then weather still has a community of hobbyists to be a part of. This is why sharpening your math skills is a pro tip for meteorologists. If you’re not good at it and you want to be a meteorologist, you need to get good. 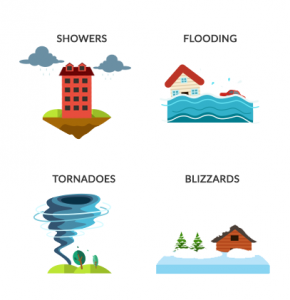 Forecasting weather events could take one or several hours depending on the complexity of the system. You’d be surprised at how applicable meteorology is to so many situations and as a professional how easy it often is to cut through complex problems. If you land a meteorologist career, it’s often an unpredictable and challenging job. It’s never what you think it will be. You will partake in weather prediction and issue warnings for severe weather. 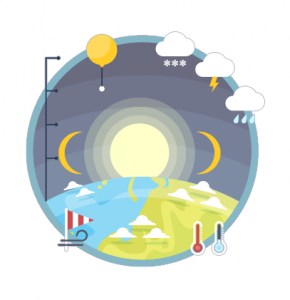 The weather forecasts you create affect businesses, sporting events and people’s daily lives. Meteorologists work at weather stations, in the field, office or laboratory and are often subject to longer work hours for weather emergencies. For example, winter hours can bring longer days because of blizzards and snowstorms. Depending on location, your situation will be unique according to our seasonal patterns. It’s necessary to understand how water and climate relates to the branches of meteorology. 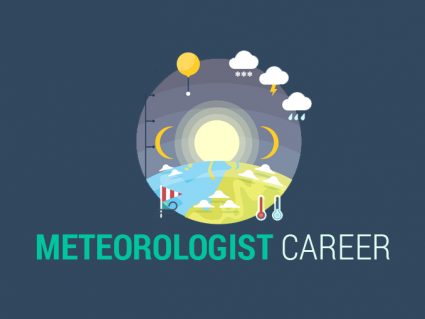 Operational meteorologist careers are often highly desirable amongst jobs. But the downside is that they are very competitive too. But there are jobs in the private sector, research jobs within schools and broadcasting jobs. Nevertheless, these jobs are still competitive but to a lesser degree. After graduation, finding a decent paying job can be challenging and is completely based on supply and demand. Some of the most common degrees for meteorologist are in atmospheric science, climate studies and meteorology. A lot of the entry position requirements is a Bachelor’s Degree in meteorology. But a Masters or Ph.D are options to enhance employment opportunities and salary. Meteorologists are often grouped with climatologists and atmospheric scientists. Experience goes a long way. It’s important to learn all the ins and outs in a meteorologist career. Expanding your knowledge in this profession is what counts the most to get ahead of the curve.